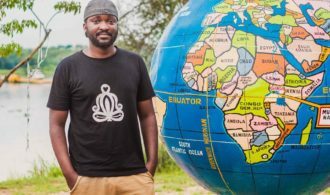 Ugandan Roland Byagaba will curate the Writivism Festival 2018 which is set to happen in Kampala, Uganda from August 17-19. This will be the sixth edition of the festival. The Writivism Festival 2018 is set to have its newest edition with a blowout in the East African nation’s capital in mid-August. The initiative started with a humble event in 2013 with Zukiswa Wanner, Beatrice Lamwaka, Constance Obonyo and Okwiri Oduor as the festival mentors. It has since gone on to become one of the most well-known literary festival brands from the continent bringing to the pearl of Africa a diverse number of literary talents. Festival guests over the years include folks like Yewande Omotoso, Panashe Chigumadzi, Jagero Oduor, Nakisanze Segawa, Chuma Nwokolo, Ayobami Adebayo, Donald Molosi, Sitawa Namwalie, Richard Ali Mutu, Stanley Gazemba, Maimouna Jallow, Harriet Anena, Nii Ayikwei Parkes, Dami Ajayi, Ukamaka Olisakwe, Tsitsi Dangarembga, Richard Ali, Rachel Zadok, Hilda Twongyeirwe, Wale Okediran, Ndinda Kioko, Edwige Dro, Saddiq Dzukogi, Michael Afenfia, and Mukoma Wa Ngugi. This list is by no means exhaustive but actually scratches the surface. The festival this year will be curated by Roland Byagaba who has been working as the sole director of the initiative from September 2017. He has worked with Writivism since 2014 first as a volunteer, independent contractor, part-time staff and most recently, head of logistics. Byagaba’s team of three full-time staff members will be guided by a Council of Advisors comprising Henry Brefo, Sumayya Lee, Edwige Dro, Emmanuel Sigauke, Joy Mogami Gaamangwe, Joschua Rukundo, and Deborah Asiimwe. The supreme policy-making organ of the initiative remains the Board of Trustees comprising Lizzy Atrree, Nii Ayikwei Parkes, EC Osondu, Chika Unigwe and NoViolet Bulawayo. You can follow the progress of the festival either their official website or Twitter or you can just hang around here and we shall keep you in the loop.